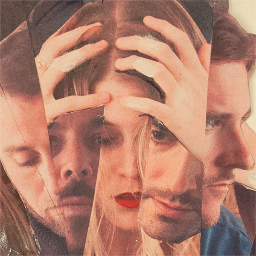 Milo Greene excited us back in 2012/3 with their stunning debut album and their first UK shows in places like St Pancras Old Church in London and The Castle in Manchester. They're back with their second album, out on January 27 in the US and later in the year here, and they've revealed a track called Heartless from the album. Milo Greene are an LA-based five-piece and the thing that made us fall in love with them first time round was, as we wrote about them in early 2013, "Milo Greene are the equivalent of a musical cuddle; their debut album a timeless piece that feels as at home today as it would have done in the Sixties or Seventies, evoking visions of sun-drenched Californian beaches and once it’s got hold of you, you don’t want it to let go." Heartless is another taster of the album, which comes out in the US on January 27th and is currently being scheduled for a UK and European release to allow the press and touring cycle to be planned for their assault on these shores. We're looking forward to hearing the album immensely as the use of four of the band sharing vocal duties meant their debut sounded fresh, vibrant and exciting. From what we've heard, Control is going to be even more of that. They've released lyric videos to Heartless and four other tracks from the album, which can be watched over on their You Tube channel or listened to on their Soundcloud page. Read our interview with Milo Greene from January 2013 here. Milo Greene's website can be found here. They are also on Facebook and Twitter.